Greg King is a dedicated criminal defence lawyer and one of New Zealand’s best known advocates. 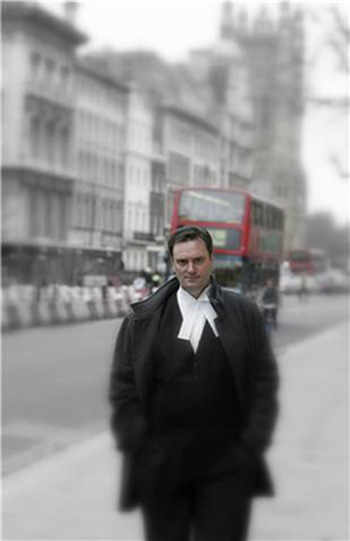 Since commencing his own practice in Wellington in 1996, he has established a nationwide reputation in trial and appellate advocacy. He now takes on cases from all over the country. Greg has been counsel in some of the country’s most complex and highest profile criminal cases. His wife, Catherine Milnes-King, a chartered accountant as well as a lawyer, has worked with Greg in legal practice since 2000. In addition to criminal law, Greg also represents clients in employment law, family law and civil law cases, including intellectual property disputes. He also has experience in judicial review proceedings and all manner of Tribunals. Greg is the former Host and Executive Producer of ‘The Court Report’, a popular weekly television series on the now defunct TVNZ7. The programme which aired more than 80 episodes considered contemporary legal issues with a panel of experts in front of a live studio audience. See www.tvnz.co.nz key word ‘the Court Report’. The 50th epoisode of the show went to air in late July 2011. The promotional video for The Court Report from July 2010 can be viewed on You Tube. Greg retired from hosting the program (after 68 episodes) in December 2011. The programme was then hosted by Linda Clark, with Greg continuing as an Executive Producer until TVNZ7 officially closed on 1 July 2012. Greg was a guest on the last episode of the programme. 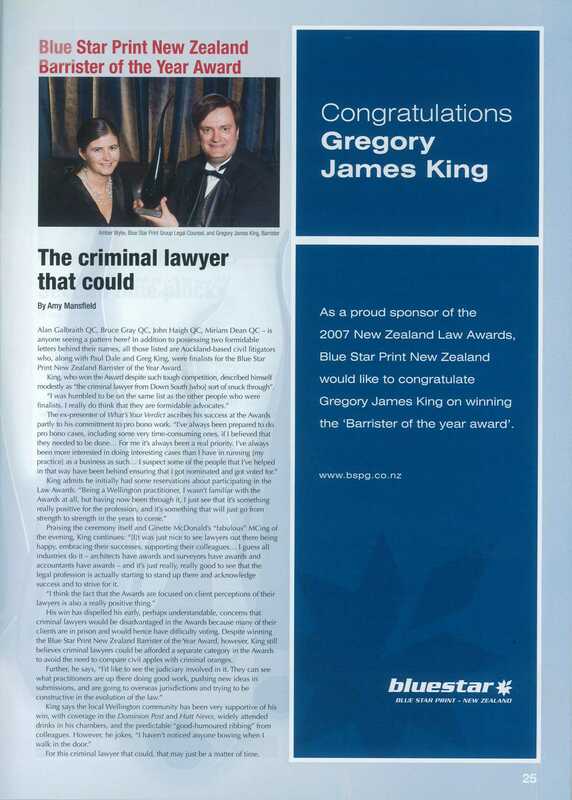 In 2007 Greg was awarded the inaugural ‘Barrister of the Year Award’ at the New Zealand Law Awards. 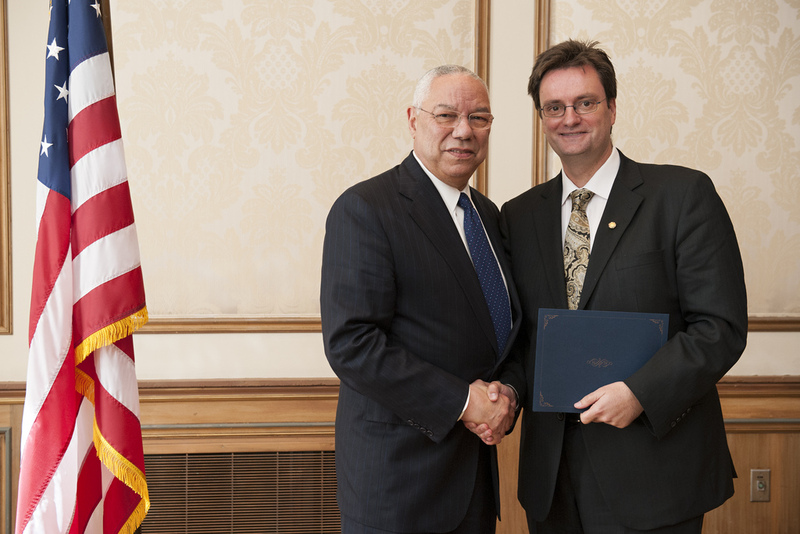 Greg was awarded an Eisenhower Fellowship for 2012, which saw him undertaking a wide range of legal experiences throughout the United States of America in April and May 2012. Read more about this prestigious award by clicking on the above link. Greg spent 7 weeks visiting 10 States and 14 cities across the USA. Highlights included the Supreme Court in Washington DC and attending a Native Indian Law Conference in Santa Fe, New Mexico. He attended on lawyers and judges involved in death penalty cases in Texas and California. A tour of the now closed ‘rock’, Al Catraz Prison in San Fransisco provided a stark contrast to the modern County Jails he visited in Suffolk County (Boston, MA) as a special guest of Suffolk County Sheriff, Andrea Cabral (herself an Eisenhower Fellow from 2007). A particular focus for Greg was on problem-solving courts. Several papers written by Greg whilst on his fellowship (including his call for the establishment of a new problem-solving court for NZ) can be viewed on the website www.justicehottub.co.nz. Greg takes an active interest in law reform, having served on many committees. He has helped draft and present more than two dozen submissions to Parliamentary Select Committees on behalf of the NZ Law Society and has served on numerous committees. He has presented many papers at conferences, seminars and the like, is a regular guest lecturer at Universities and guest speaker at all manner of occasions. A testament to Greg’s contribution to the recent development of the criminal law is that in volume 21 of the Criminal Reports of New Zealand (CRNZ 21) of the total of 81 reported judgments, Greg was lead counsel for the defence in 10 of them. He has been counsel in numerous cases that have resulted in reported judgments covering practically the full spectrum of criminal law issues. The Brookers Criminal Cases Database contains more than 200 judgments from cases where Greg has appeared as defence counsel. Greg has appeared in 11 full criminal appeals in the Supreme Court of New Zealand (leave having been granted). On two separate occasions he has been appointed Amicus Curiae by the Supreme Court to prepare and make submissions on behalf of self represented litigants. He was counsel in the first ever successful criminal appeal in the Supreme Court (Timoti, in 2004, which overturned an historic conviction for murder). Greg has appeared in 3 double murder appeals to the Judicial Committee of the Privy Council; Scott Watson (2003), Bruce Howse (2004 and 2005) and John Barlow (2008 and 2009). Leave to appeal was granted in both the Howse and Barlow cases. The Privy Council has since 1848 only granted leave in 11 New Zealand criminal appeals. Since being admitted to the bar in Dunedin in 1993, Greg has been counsel in approximately 350 jury trials and more than 200 appeals. Of these around 50 have been homicide cases. His place on the legal landscape is firmly established. In every case he takes on Greg’s commitment is the same – to provide the service and representation he would expect if the roles were reversed. He understands how the legal system can severly impact on people’s lives and he understands that every case is the most important case in the world to the person concerned.